When the fire department goes out to extinguish a fire, it is important to board up and secure the property afterward so that the structure can be protected against the weather, theft, and will not be a safety concern to others. Here are some primary reasons why a structure needs to secured and boarded-up properly after a fire loss. 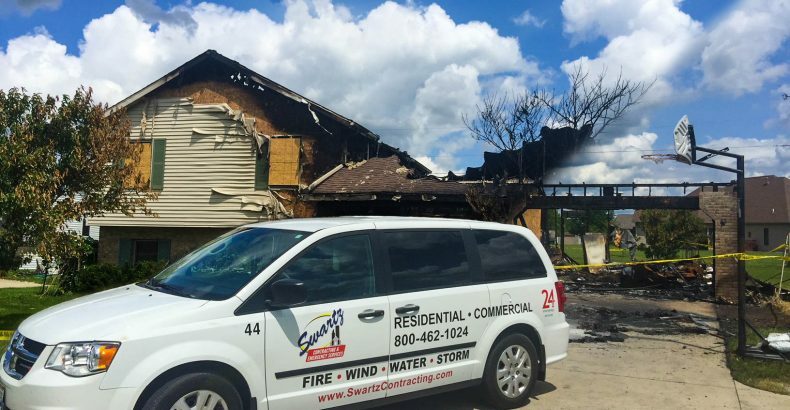 Even though the fire department came out to put the fire out, the property owner is still liable for the property after the fire department leaves. If an incident happened on the property, the property owner is at risk. By boarding up and securing the property, we lessen the risk for the property owner. By securing the property, we can keep individuals out so that they do not get hurt and it keeps the structure from receiving any further damage done to it. It will also keep out animals from entering the structure and nesting in it. We can preserve the damage until we create a plan to restore or rebuild the structure. If a home or building is not secured after fire damage, it is vulnerable to theft. Anyone can walk into the structure and take what they want or do what they want to it. Boarding up the property allows your valuables that are left in the structure to stay protected. It’s no shock that Ohio has some crazy weather. One moment it can be bright and sunny and the next it looks like a monsoon. Boarding up the property after fire damage can prevent further damage to the property. If the damages increase on the property, it means that it will need more repairs, more time and more money. By boarding up the property, we can protect it from an increase in damages. There are many reasons to board up and secure the structure after a fire loss. It lessens the risk on the property owner, keeps the structure and individuals safe, protects your belongings from theft and protects the structure from the weather. But the main reason you should board up after a fire loss is that it takes some of the worries off of you. Your property will be safe and in a matter of time, you’ll be back in your home or building, living your life like you were before the loss. If you need board up services, call us today! We are available 24/7, all year around. To help relieve some of your stress, we even collaborate with your insurance. All you need to do is call (800) 462-1024.